Most any 90 degree Chevy V-6 will work. The carbureted models make for an easier conversion, but TBI (throttle body injected) engines can be used. ...Will the Chevy V-6 fit under my hood? Yes, with the proper attention to intake manifold and air cleaner selection. 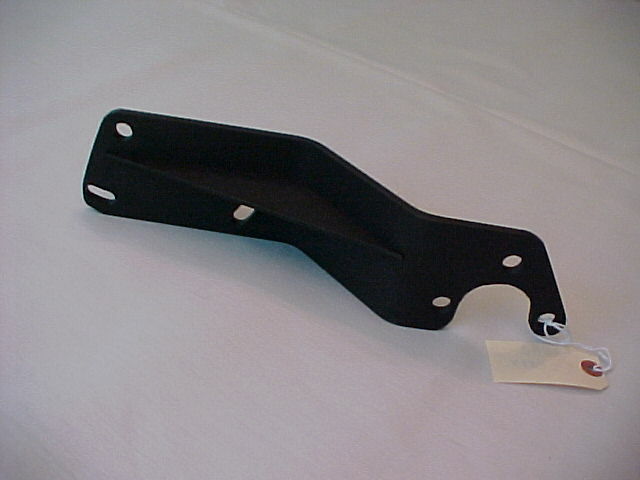 Stock type manifolds that have an EGR valve will not fit w/o hood modification. 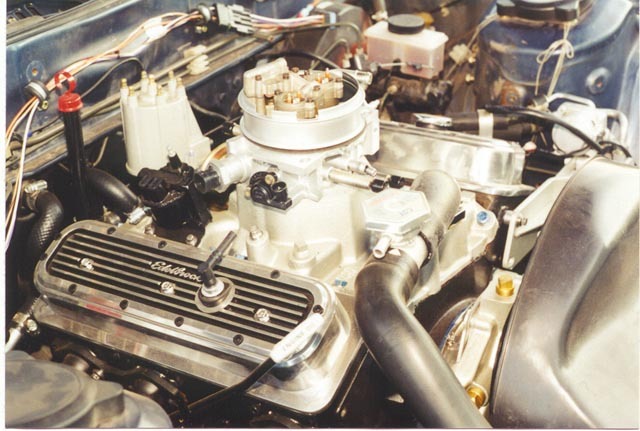 The shorter non-EGR manifolds and 4bbl carbs require a drop base air cleaner, and may require trimming out the inner hood brace in the area of the air cleaner, but will fit under the hood. ...What modifications are required ? The biggest mod is to the oil pan, which is done to give the steering linkage room to operate (fortunately, this mod. 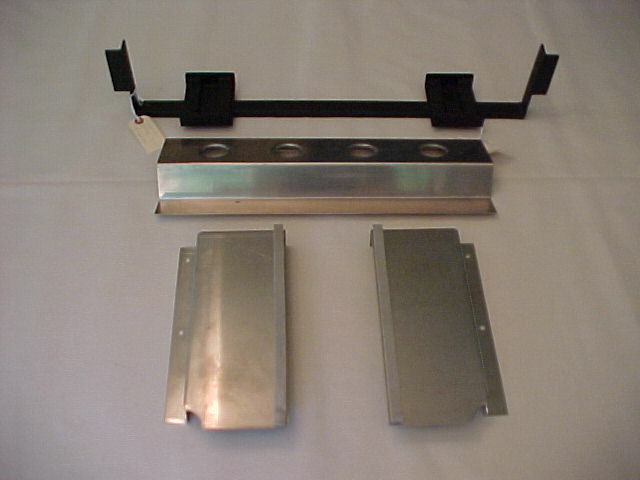 to your oil pan is included in the price of our Basic kits). Another modification we have begun using is "reversing" the stock RX-7 engine crossmember. Easily done by removing 6 bolts, this moves the engine mounting points closer to what's needed, and allows us to build much nicer looking adapter brackets. Yes. 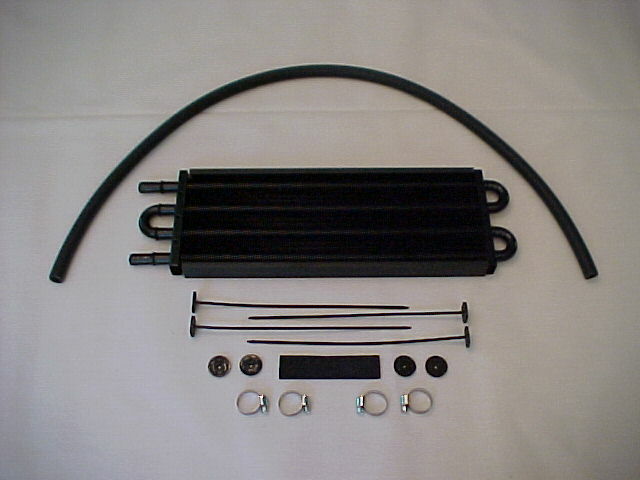 Many customers are using the short water pump in conjunction with the stock RX-7 radiator, fan, and shroud. The radiator still has to be relocated all the way forward to a vertical position for the long water pump conversions. 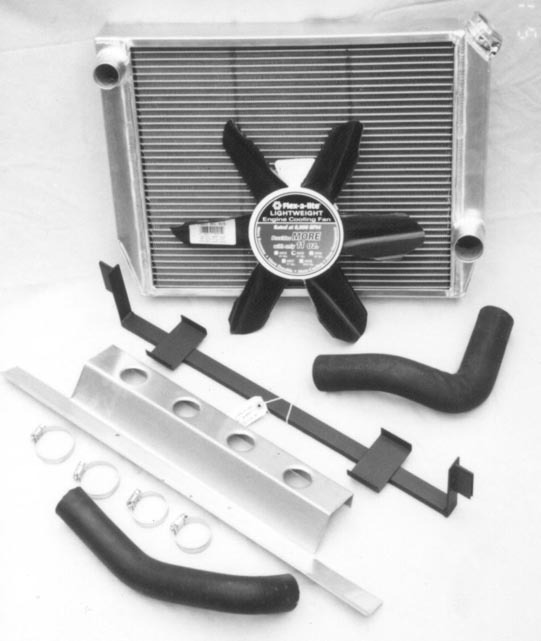 Air-conditioned conversions may require using our HD aluminum radiator. If you do choose to try the stock radiator and AC, plumbing the RX-7's oil cooler into the V-6 will improve your odds of success. ...Do I have to use an electric fan? No. 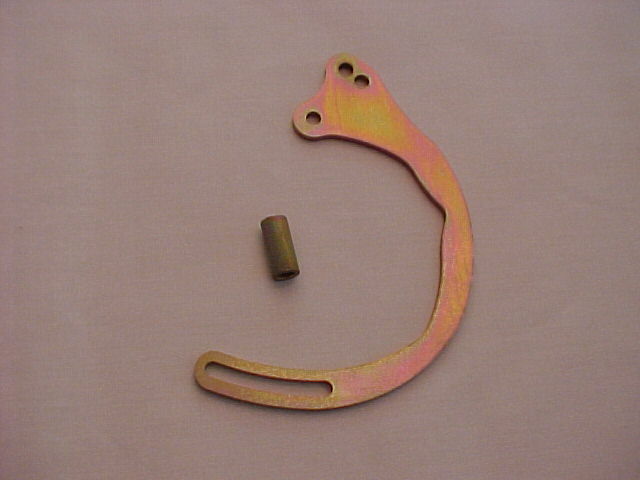 The stock RX-7 clutch fan can be modified to fit and is recommended for use with the Chevy conversions V-6. 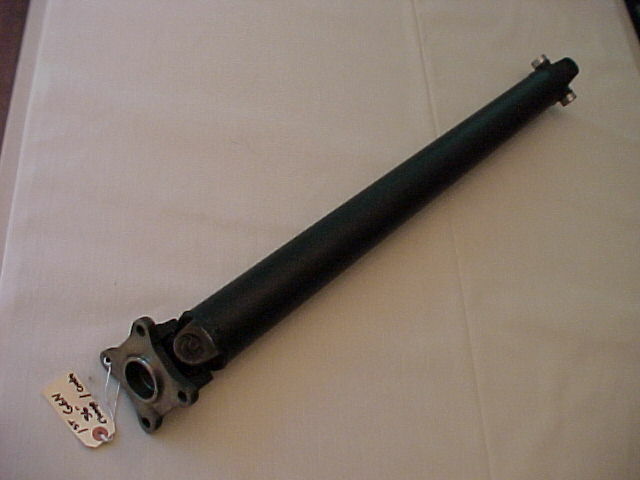 The stock RX-7 fan shroud can be reused as well (short water pump only). Quickness of the car will be greatly improved, as the V-6 has quite a bit more torque than that of the rotary engine. Overall top speed depends on the transmission selection and the RPM range of the engine. Expect a stock V-6 (with good tires) to produce 14-15 sec. 1/4 mi times. Because of the high cost of aftermarket distributors for the 90 degree V-6, we offer special kits that allow for use of the larger dia. HEI as well. The larger dia. 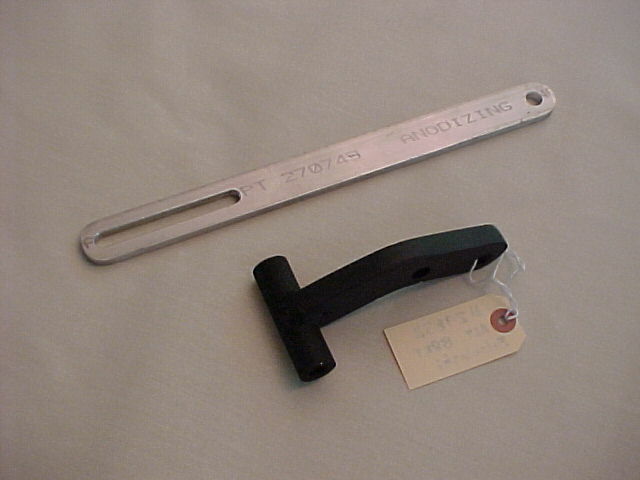 "HEI" units require the "HEI" style Basic Kit, which positions the engine 3/4" farther forward than the STD. V-6 position. A "short" V-8 water pump (pre-'68) and pulley set is recommended. Double groove crankshaft and water pump pulleys are required to drive the P/S pump and/or the A/C compressor. and Oil Pan modifications that clear the steering. 4.3 litre V-6 HEI - allows use of the big HEI dist. 22x19x3 HD radiator, good for 480 HP. note the stock radiator and fan shroud, even uses the RX-7 clutch fan. our kits are jig welded and bolt right in.... ...no cutting or welding required !! !